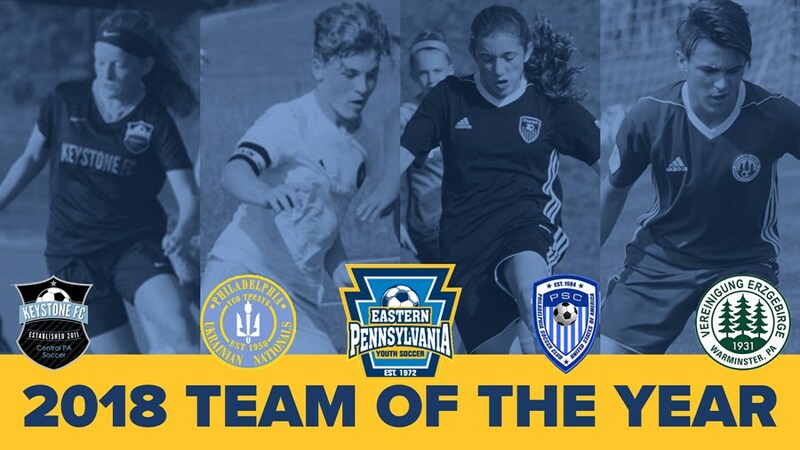 To celebrate the 2018 year in soccer, Eastern Pennsylvania Youth Soccer is introducing a new annual award: Team of the Year. The Eastern Pennsylvania Youth Soccer Team of the Year Award will go to a club team that succeeded at the state, regional and/or national level, while positively representing the state association on and off the field. 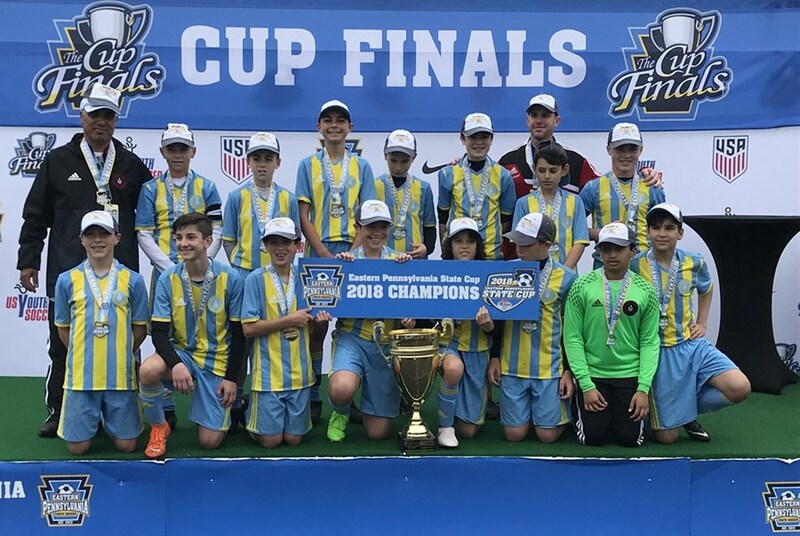 Congratulations to the four candidates: Keystone FC Premier 03 (2003 girls), Philadelphia Soccer Club Coppa Swarm (2004 girls), Philadelphia Ukrainian Nationals Black (2005 boys), Vereinigung Erzgebirge Green Gunners (2002 boys). We'll profile each team before announcing the inaugural Team of the Year Award winner on Tuesday, December 11. The winner will be recognized at the Eastern Pennsylvania Youth Soccer Annual Awards Banquet on Friday, February 22, at the Sheraton Valley Forge. 2019 Outdoor Cup registration opens December 20!